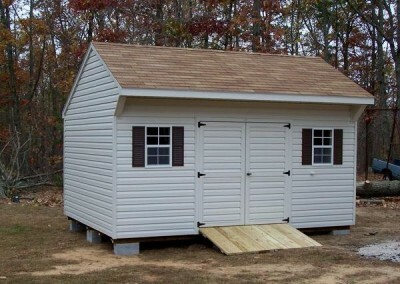 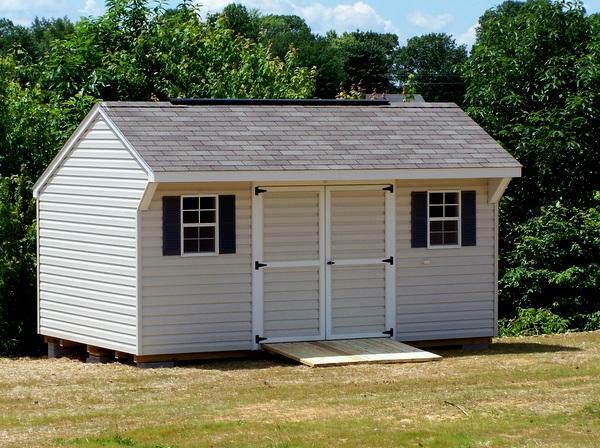 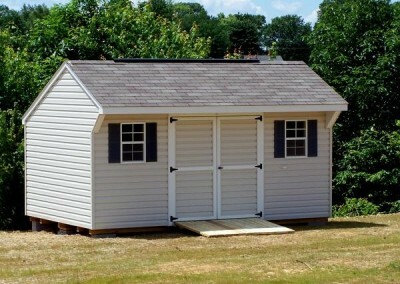 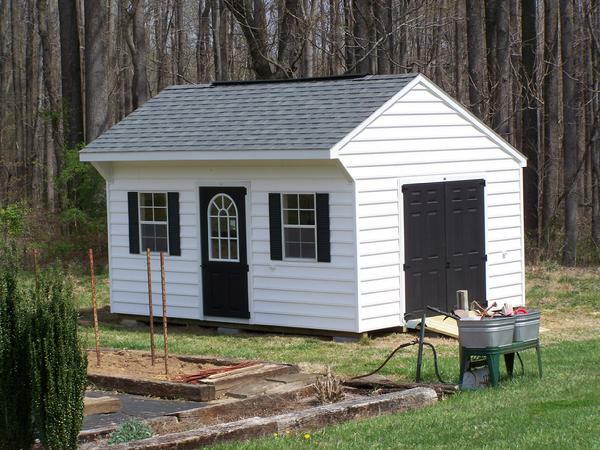 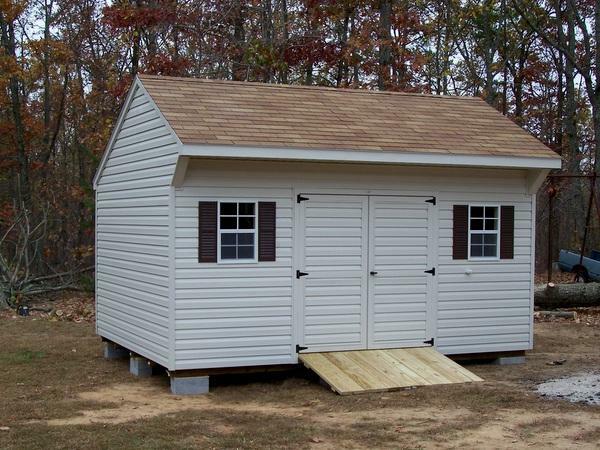 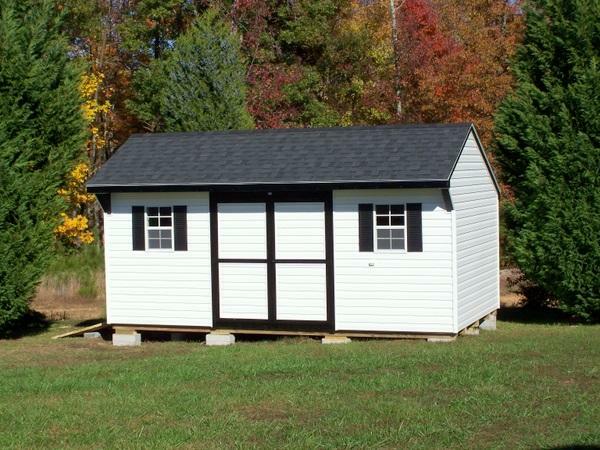 A white vinyl shed with white trim and a carriage style shingled roof. 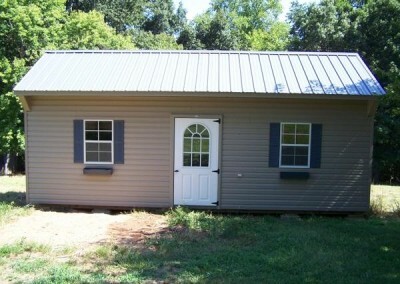 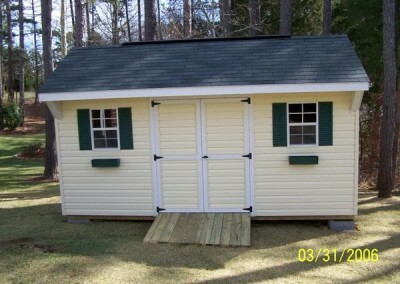 Shed has two windows with shutters and a set of double doors. 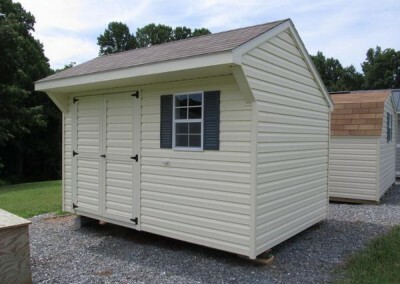 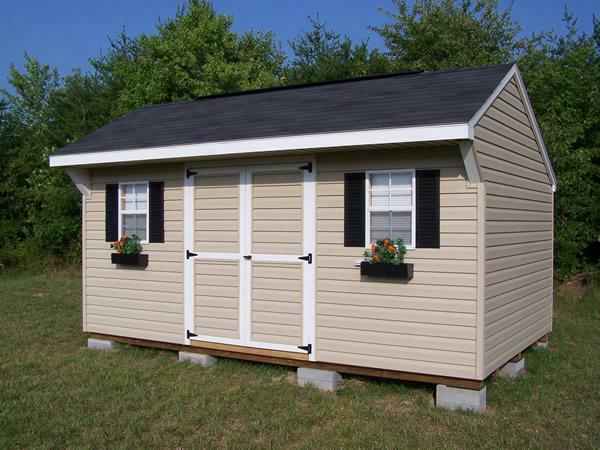 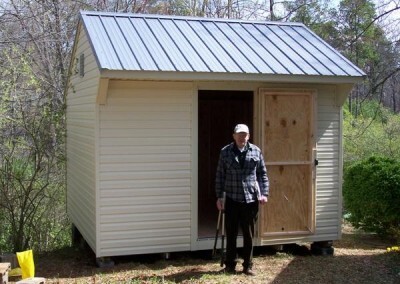 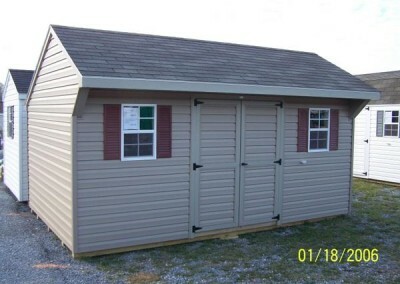 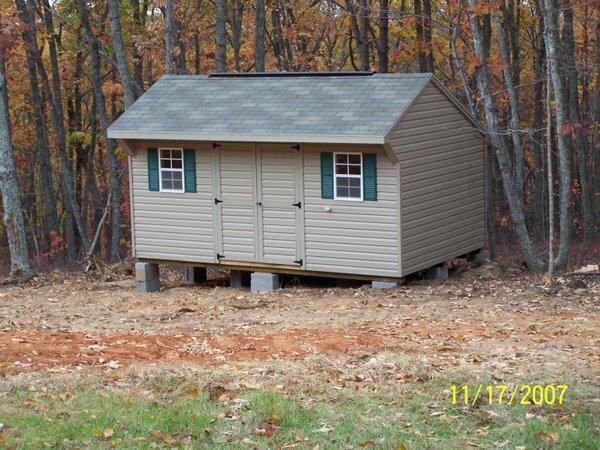 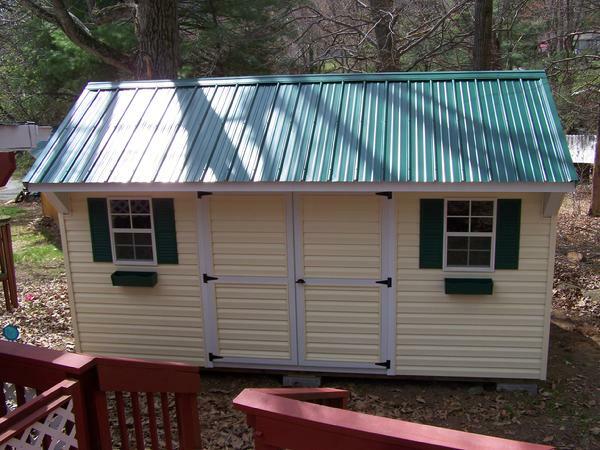 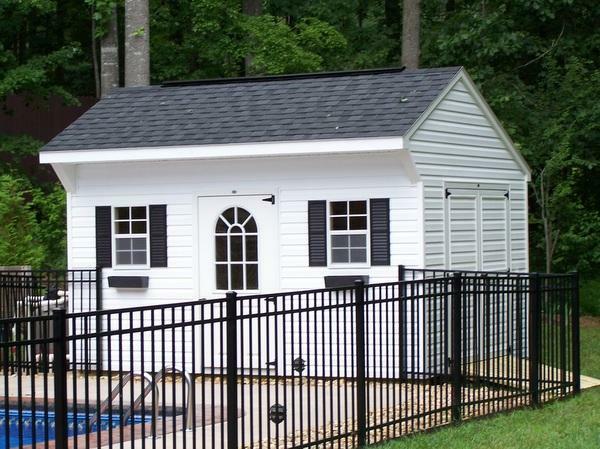 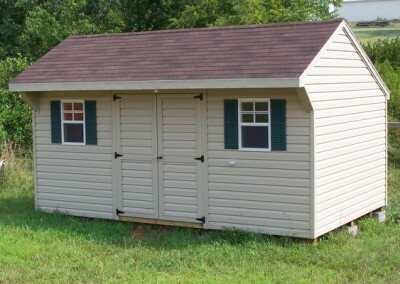 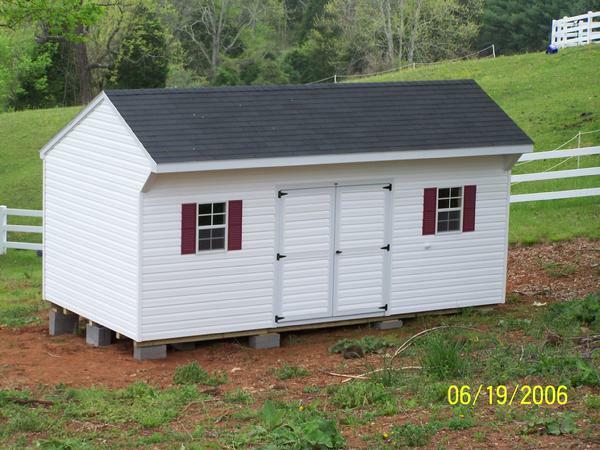 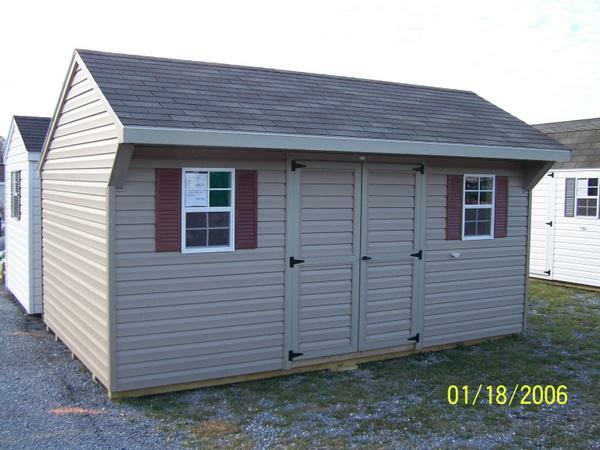 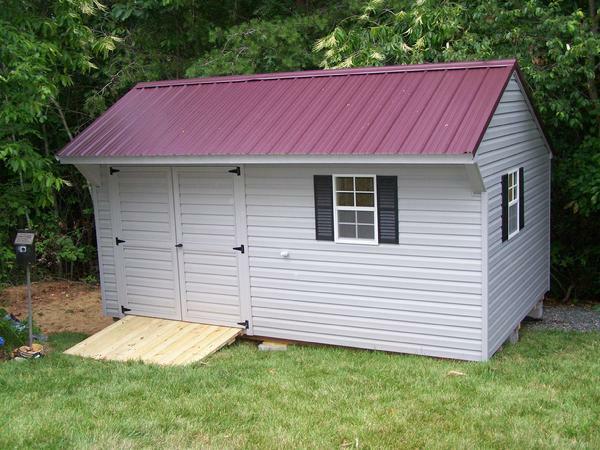 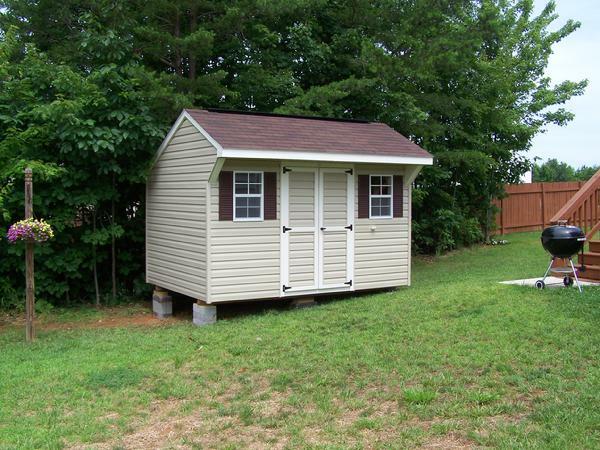 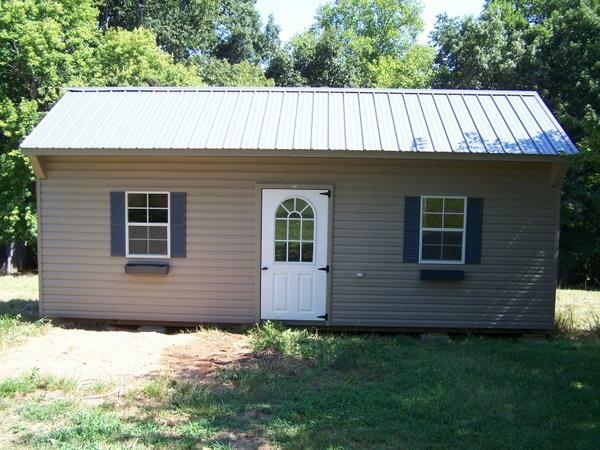 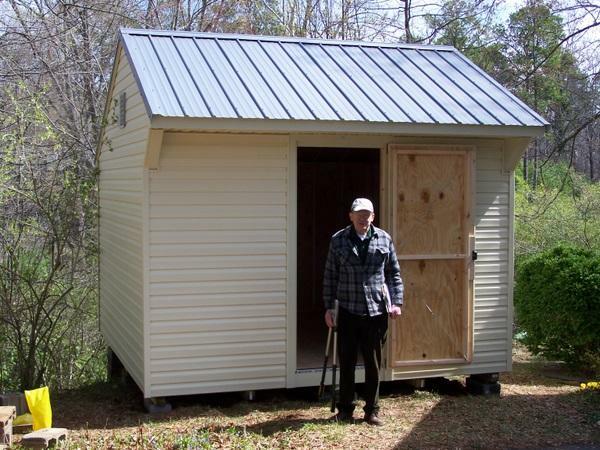 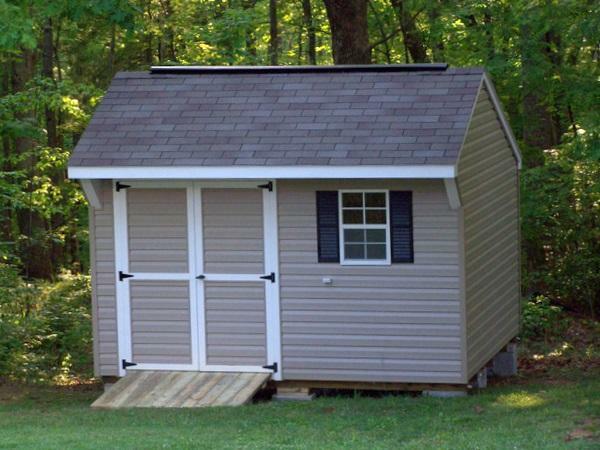 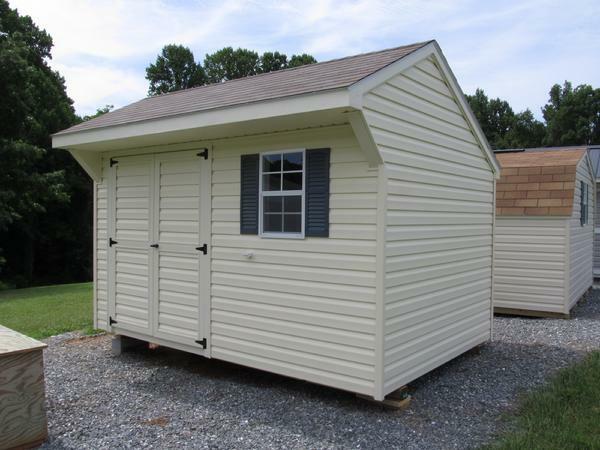 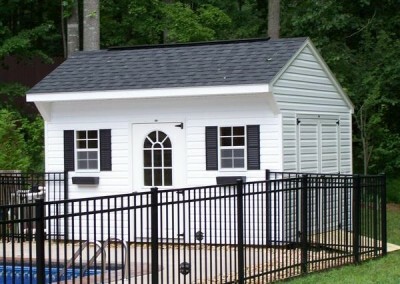 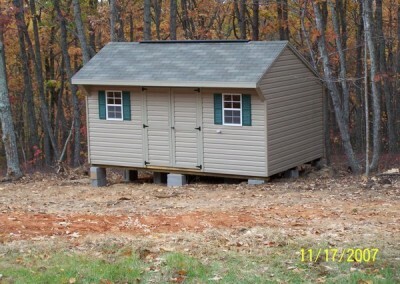 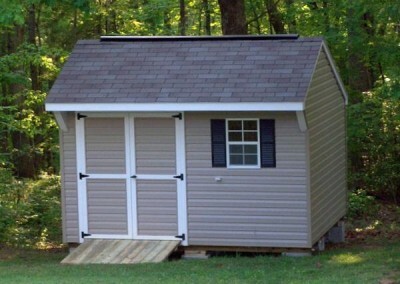 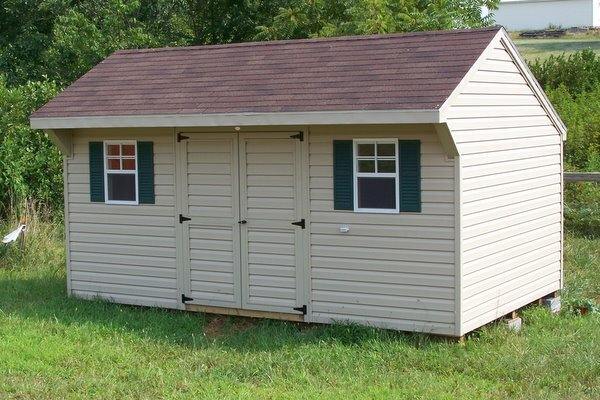 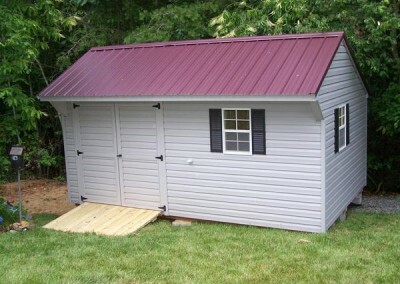 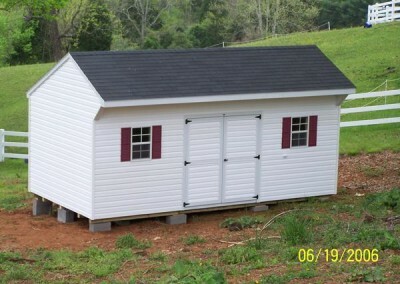 A 12×24 sized vinyl shed with a carriage style metal roof. Shed has two windows with shutters and flower boxes. 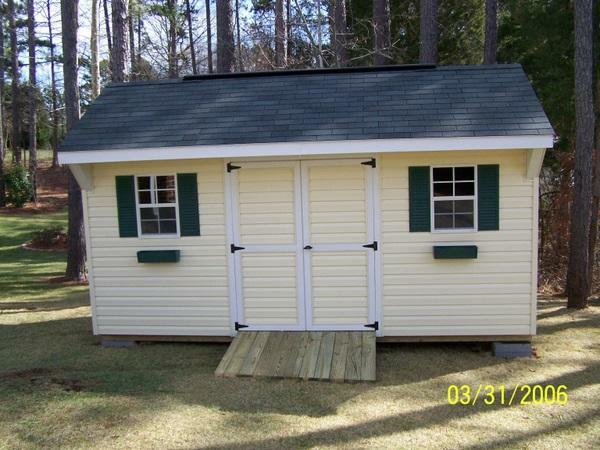 The shed has a fiberglass, circle too house door.